The Flourmill Café is nestled under the imposing old York Mill. 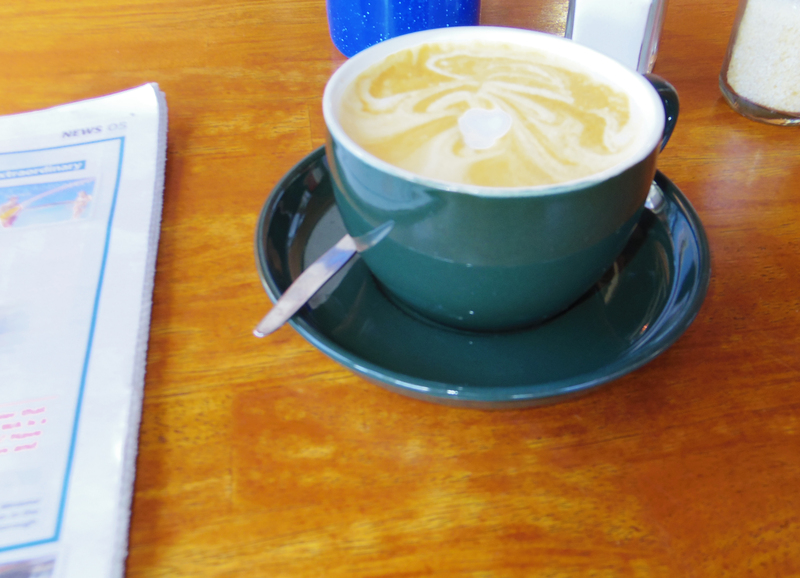 It's a popular spot for locals and visitors alike, which I believe is the real test of a good cafe; everyone should get the same service, whether you're on a first name basis or not. There isn't a whiff of pretension here either, the service is consistently cheery and it's undoubtedly my local of choice. Now when I say local, I mean I'd happily drive 25 minutes to come here (but that's down the road to a country person). The actual café building is small and cosy, complete with a wood fire in winter. There are a few small tables inside, but a long table is available in the side room for larger groups. Personally I think the experience at The Flourmill is all about the outside, where you're spoiled for choice year-round. There's the large courtyard, which is shady in summer and with dappled sunshine on crisp winter days. Then there's the large, sheltered mill deck. There's a range of table choices here (some reminiscent of the family dinner table), with plenty of space for a group or just sprawling out with the weekend paper. There's also a basic (but endlessly entertaining) playground located a decent distance from the courtyard, with another dedicated long table. I'm not sure why, but the kids always seem to play so well here and parents can actually take a breath and relax. But The Flourmill is certainly no nightmare for those without kids. It's one of those rare places which caters to everyone. Yes, even those with dogs. 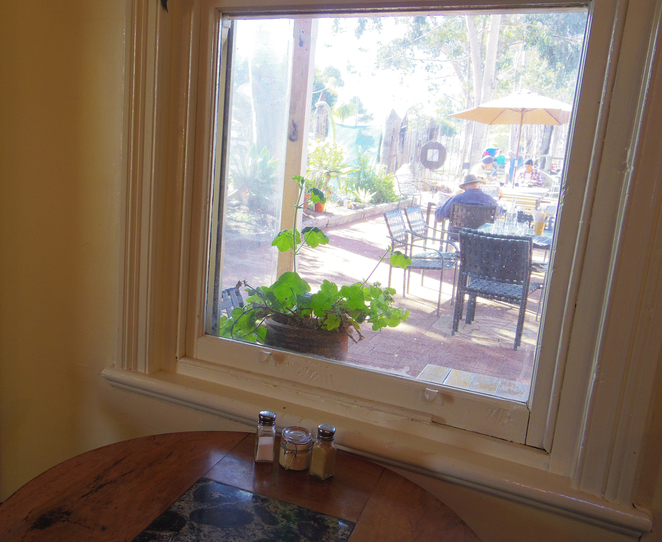 Menu options are standard café fare, reasonably priced. They do breakfast until 11am (I'm yet to try) and lunch from 11am with options like steak sandwich, burgers, pies, toasted sandwich ($8). Many come with salad and/or chips, which have been cooked in super-fresh oil. On previous visits we've picked up a nice ploughman's platter ($16) and a seasonal freshly squeezed OJ ($2.50). The specials board inside is well worth a ponder. 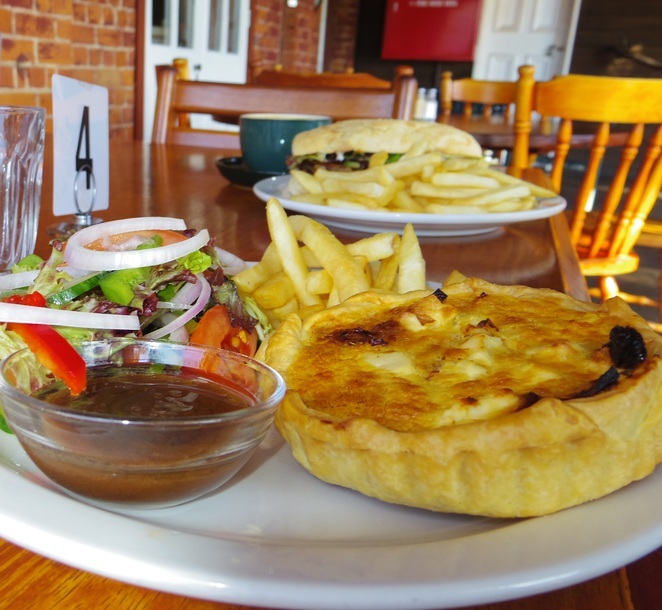 On my last visit I picked up a mean caramelised onion, feta and sundried tomato quiche ($8 alone/ $14 with salad & chips). Side salads can often disappoint but this was nice and fresh with plenty of variety. It pains me to say it's not going to be the best coffee you've had, and varies from visit to visit, but it's definitely way above par for the Avon Valley. 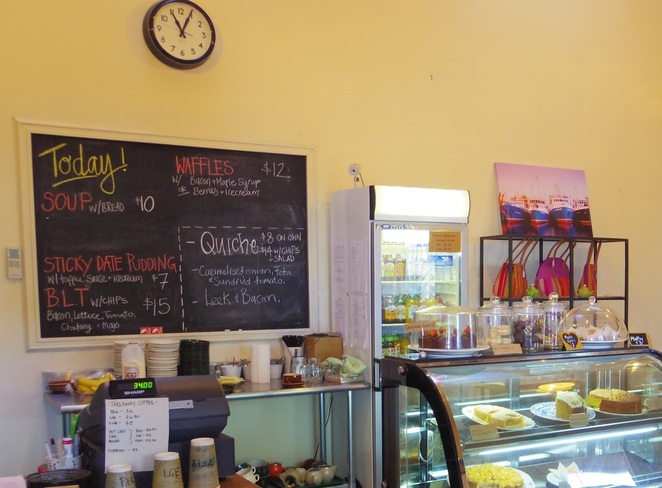 The Flourmill also excels at dessert options and all cakes, slices and scones are made fresh on-site. 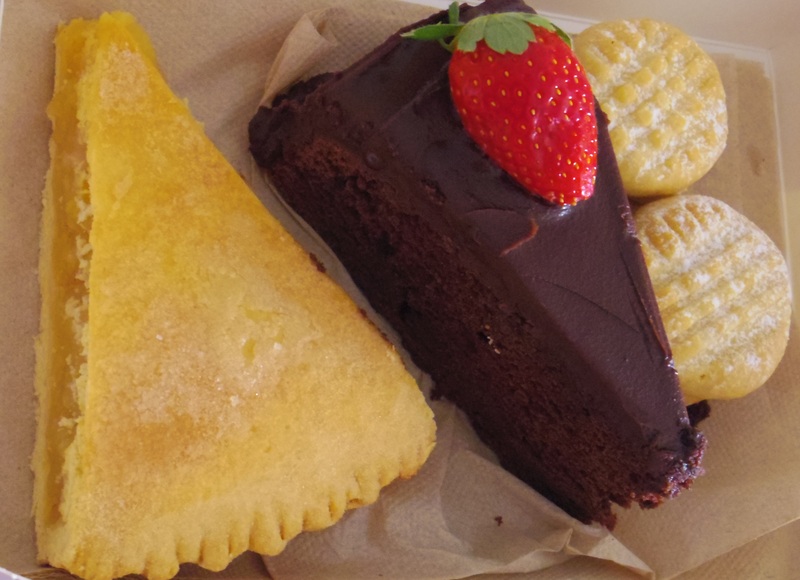 Our group can vouch for the chocolate cake ($5), melting moments ($3), apple pie, and peach frangipane. They also had well priced muffins ($3) which would make an ideal morning or afternoon tea visit. I don't know if it's the space, the trees, the history, or the staff- either way The Flourmill has good vibes and is always a treat to visit. Given York's popularity with a range of interesting people, if you visit on the weekend it's probable you'll come across a vintage car or two, or maybe even a penny farthing. The Flourmill Café is open Wednesday-Friday 9am-5pm and Saturday-Sunday 8am-5pm or check on facebook. There is plenty more to do in the area as well, you can find some ideas here. It looks cheerful with its sunny colours. Spotting a vintage car or two would be a nice bonus. It's a long way for me to go, but hope to visit one day. I was at York a few years ago - loved it.